Members of the SC House of Representatives’ Agricultural, Natural Resources, and Environmental Affairs’ Wildlife Sub-committee along with representatives from the SC Department of Natural Resources met with deer hunters from the area Tuesday, Sept. 29, at North Augusta High School to hear concerns and ideas on proposed changes to deer laws in the state. The meetings are being held across South Carolina in response to a bill that the House received earlier this year from the Senate. 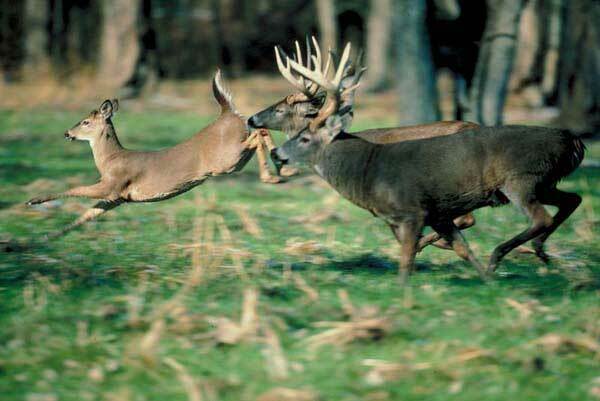 That bill proposes significant changes to deer hunting statewide. If it is passed, areas within the state that have traditionally hunted deer with no harvest limits would join the rest of the state in a 4 antlered, 4 antler-less deer limit. The bill would also mandate that all deer harvested be tagged and would do away with the free tags hunters have for so long received with the purchase of a hunting license. Instead, hunters would be charged an additional $15 fee for 8 deer tags, and doe days would be eliminated. Wildlife Sub-committee Chairman Bill Hixon explained to The Advertiser in an earlier interview this year, however, that the Senate’s bill has stalled in the House’s sub-committee. It is for this reason that this effort to allow hunters across the state to give law makers direction in supporting or amending the Senate’s bill is being taken. About fifty citizens attended the North Augusta meeting some of whom were from the Edgefield area. Attendees were first presented with a program by DNR representative Charles Ruth which highlighted data that supports assertions that deer herd populations in South Carolina are on the decline. After this presentation, attendees were given an opportunity to address their hosts. The majority of those speakers spoke protectively of the deer herds and expressed favor in tagging deer and limiting harvests. Many spoke of the need for more game wardens and said that they wanted game check stations, which were phased out some time ago, reinstituted. Increased fines was also a topic in which many expressed support. A show-of-hands vote was taken at the meeting, and a survey was handed out and then collected as well. That survey is intended to help law makers become more aware of the specific areas that are or are not supported in regards to deer laws. Speaking to The Advertiser shortly after the North Augusta meeting, Wildlife Sub-committee Chair Rep. Hixon, who is also a member of Edgefield County’s Legislative Delegation, said that he was disappointed with the numbers in attendance at the meeting but went on to add, “I was happy with the program the wildlife department put on.” Speaking of the comments made by those citizens who spoke, Hixon stated it was “overwhelming to me that just about everybody who voted wanted the tags.” He also expressed the importance of the surveys, which can also be taken through DNRs website, maintaining, “We’re gonna lean heavy on that survey.” Hixon went on to say, “These are the people who put us in office and we want to hear from them.” To that end, he encouraged all hunters to go online and fill out a survey to let their voices be heard by law makers. Proposed changes to deer laws in South Carolina still have a long way to go before they become a reality. However, Rep. Hixon said that he was “very optimistic” that in the coming term “we’re gonna pass something.” Hixon said that when legislators reconvene in January, the Wildlife Sub-committee will hold public meetings in Columbia, much like those currently being held across the state, in order to give hunters a chance to speak one more time on the issue. He said that from there, he is hopeful the sub-committee will be able to form their own bill or add amendments to the Senate’s that can then be passed on to the full committee for vote. If that measure, in whatever form it may be, passes the Agricultural, Natural Resources, and Environmental Affairs Committee, it would then be passed along to the full House. If the House passes it, and if the measure is different from the version given by the Senate, the bill will have to return to the Senate for passage. Because of this potentially lengthy process, Rep. Hixon said that nothing in the way of statewide deer laws will be changing before 2017 and that is assuming law makers can pass a bill this session. If law makers are unable to pass a bill this session, the proposed Senate bill, and its changes, will die, and the process to bring about statewide changes to deer hunting will have to start all over. As for his stand on the matter, Rep. Hixon, who has previously gone on record to support statewide consistency on deer laws, said that he supports harvest limits and is not against tagging although he stands by his previous assertions that hunters should get something, i.e. tags, for free with the purchase of a hunting license. Hixon said that he also supports a sunset provision that would force law makers to revisit any changes they might institute in deer hunting after a given amount of time to see if those changes have been beneficial or if some other measures might need to be taken. Hixon said he will be adding this amendment to the Senate’s bill calling it part of the “checks and balances” system. To view the full version of the Senate’s bill please visit www.scstatehouse.gov. To participate in DNRs survey, go to www.dnr.sc.gov. To see The Advertiser’s previous coverage on this matter, please visit our website at www.edgefieldadvertiser.com. The Advertiser will continue to follow this issue.